The results you get are divided according to an area value you can set. 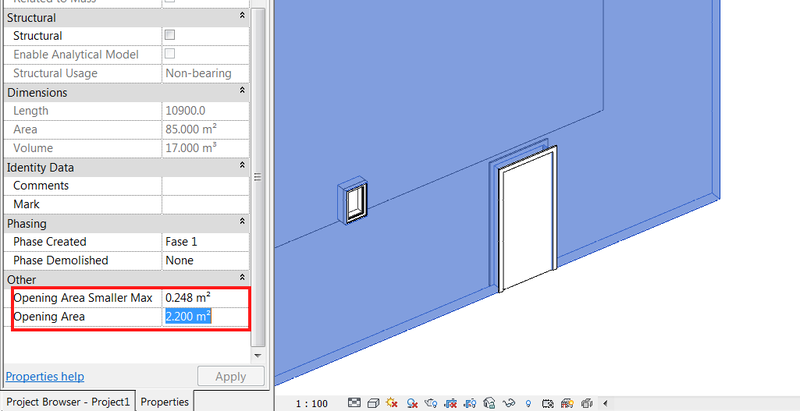 All the openings below that Maximum value are stored as Opening Area Smaller Max, and the total openings area are added to the Opening Area Parameter. 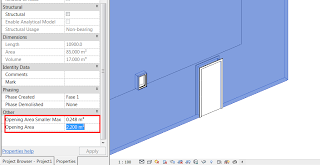 Now, you can schedule this parameters and get the Gross area of the wall by playing with calculated parameters. 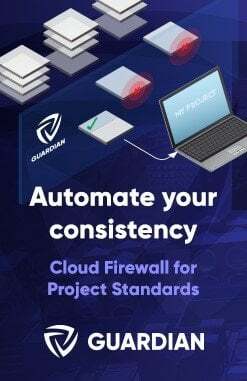 Remember Julien Benoit’s adaptive component tutorial from a year ago (link here)? Well, Julien has made something pretty cool and posted it on RFO. 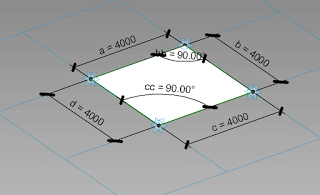 It is basically a 4 point adaptive component that calculates the area of the resulting surface using Bretschneider’s formula. Note: you will have to login to RFO to download from these links. 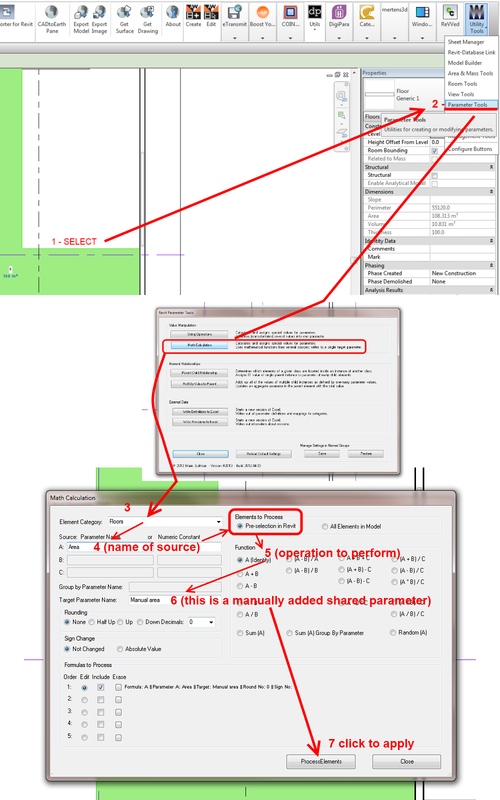 In the image below, I show the basic process used to drive a Floor Area parameter into a manually added shared parameter. 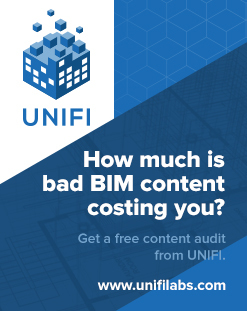 Obviously, this scenario is not ideal – the data link isn’t dynamic, so we have essentially created a mini-silo (that’s what I’m going to call “in-software unlinked BIM”) right inside Revit.